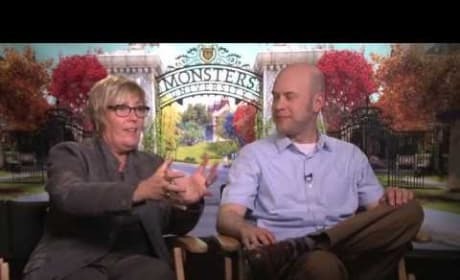 Monsters University writer-director Dan Scanlon and producer Kori Rae talk about their Monster hit. 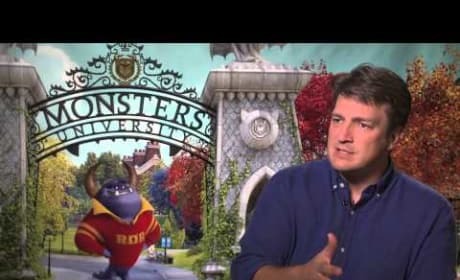 Billy Crystal and John Goodman reprise their roles from Monsters Inc.
Nathan Fillion, star of Castle, talks about his first Pixar movie, Monsters University. Fillion also chats what's harder, voice acting for animation, or Shakespeare for Whedon in Much Ado About Nothing. 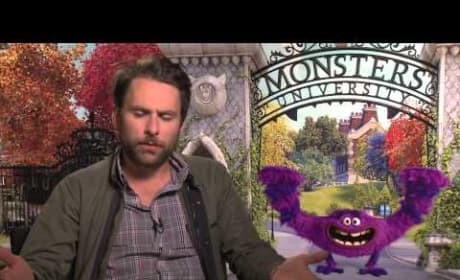 Charlie Day talks exclusively about his part in Monsters University. Day also reflects on his monster summer, with the Pixar movie and also Pacific Rim. 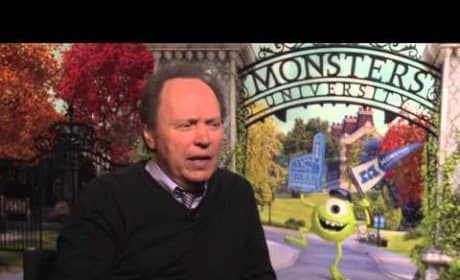 Billy Crystal talks about his latest flick, Monsters University. Crystal even clues us in to which New York Yankee he believes Mike is most like. Mike: I was on TV. Ha. Did you see me? I'm a natural. Kids these days. They just don't get scared like they used to. Permalink: Kids these days. They just don't get scared like they used to.